Sacha - The Talent. Don't be fooled by his model looks and 'posh' English accent... he's cheeky. Cheeky as hell. 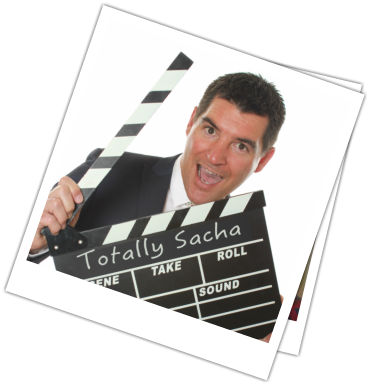 And at times very very smutty... and ignore the exotic sounding name and Mediterranean looks, Sacha was born in Bristol and brought up in rural Worcestershire in the English countryside. His family owned and ran a chain of bakeries, so Sacha grew up surrounded by flour, sugar and all manner of sticky stuff - as well as two sisters and a brother. Sacha has built an audience around the world cooking in his home. Creating dishes ranging from low-cal soups and snacks to far more calorific main dishes and bakes. Among them his show-stopping six-tier Rainbow Cake coated in Marshmallow fluff and his Caramel Apple Roses dessert which looks like a bouquet of freshly opened blooms. Sacha makes even recipes like those seem effortless and takes you with him step by step in a punchy, friendly fashion. Sacha’s heart, though, lies with the simpler comfort foods like his crowd pleasing sticky toffee pudding, millionaire shortbread or fun halloween cupcakes. Check them out on our Recipes page! More a pictures than words kinda person? 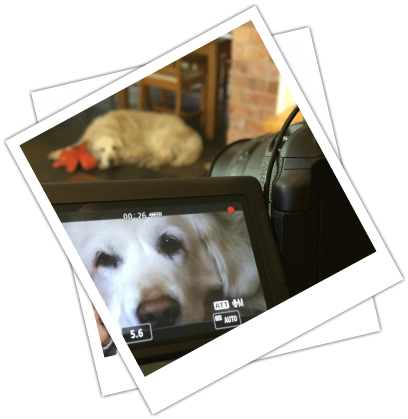 If you've seen a single one of our videos, you'll likely have seen Sydney... her cheeky cameos became a favourite of ours, and we know - because you told us - she was a favourite with you too. She was never more than a few feet away from us as we filmed. In fact at all times. But after a short illness she left us to chase squirrels for eternity. Sydney was just shy of 14 years old - which is incredible for a Golden Retriever. Their usual life span is nearer 11. She was spritely and smiley right to the end. When she decided it was time, she left us without pain snuggled on the floor in our arms - peacefully and with great dignity. She's left a big hole in our household and an even bigger hole in our hearts. No dog could ever replace Sydney and we never imagined we could make room in our hearts for another. How could we?! Then word got to us of a puppy needing a loving home, after being rejected by her new owners just weeks after they'd taken her from the litter. She - like Syd - was also a Golden. So we met, and instantly fell for, Cobie (though she didn't have a name at that stage). We always wished we had a playmate for Sydney. But by the time our home was big enough, Syd was older and we feared a new pup could have been a disaster for her healthwise and within 'our pack'. So once Cobie was old enough and well-trained, we set about finding a little sister for her. We found 'Orange'. 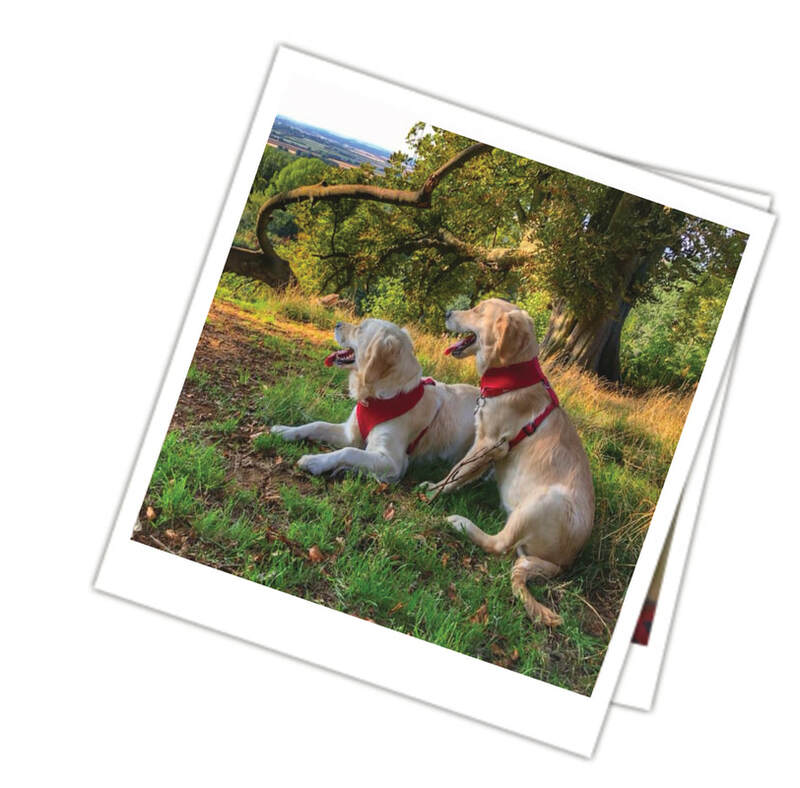 (That was her collar colour in her litter!) We brought her home 8 weeks later, and named her Pfeiffer. They instantly bonded, shared water and a snuggle or two and are now inseparable. Syd would definitely approve. They've have grown so quickly, and even though Pfeiffer is the younger one, at 9 months old she was the same size as her 2 year old 'sister'. So we expect her to outgrow Cobie for sure. And the names? Well after two of our favourite actresses: Cobie Smulders - Robin in How I met your Mother; Maria Hill in the Marvel movies and Mjr Susan Turner in Jack Reacher, AND Michelle Pfeiffer from... well so many great movies ... Stardust, What Lies Beneath, Dangerous Minds, Married to the Mob, Hairspray.... and even cross-overs with Cobie in Avengers! Minion's identity is shrouded in mystery. Some say deliberately! Rumour has it he's a jewel thief; international spy; on witness relocation; the hot guy playing 'Mr Grey' in 'Fifty Shades' or conversely is so ugly that his mere reflection could shatter glass and scare the vulnerable. Now we could tell you the truth - but then we'd have to shred you. Sorry. We don't make the rules!! oh... the other regulars you'll see? Well, they're our BFFs - the Sheeran Sisters?